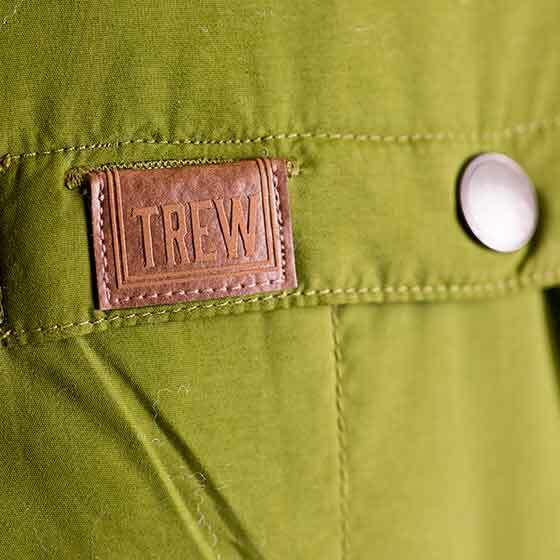 The TREW Snap Jack is one of those great middle liners for cold days and stands on it’s own well on warmer sunny days or for a short walk to the bar. 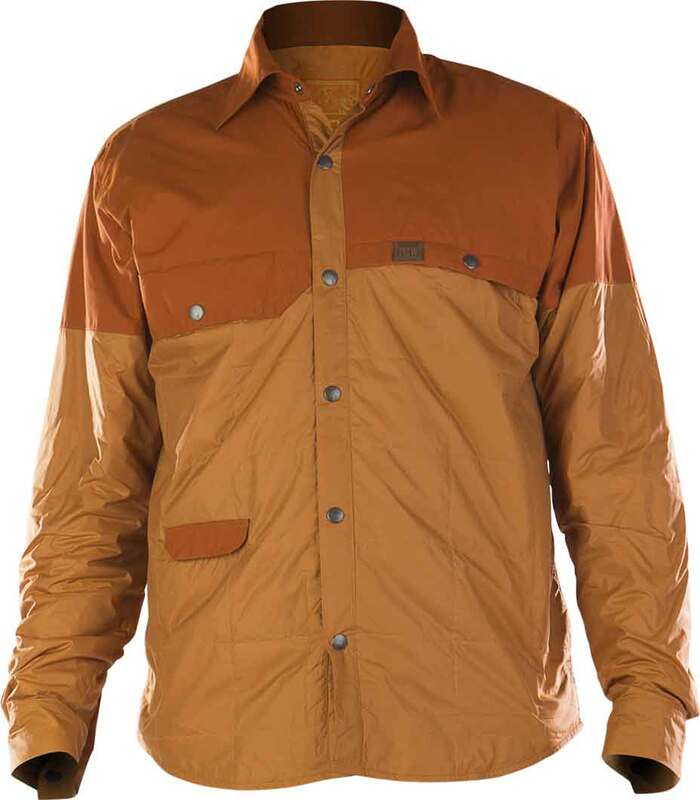 So the Snap Jack is more of a mid layer that has a lot more personality than your average mid layer. 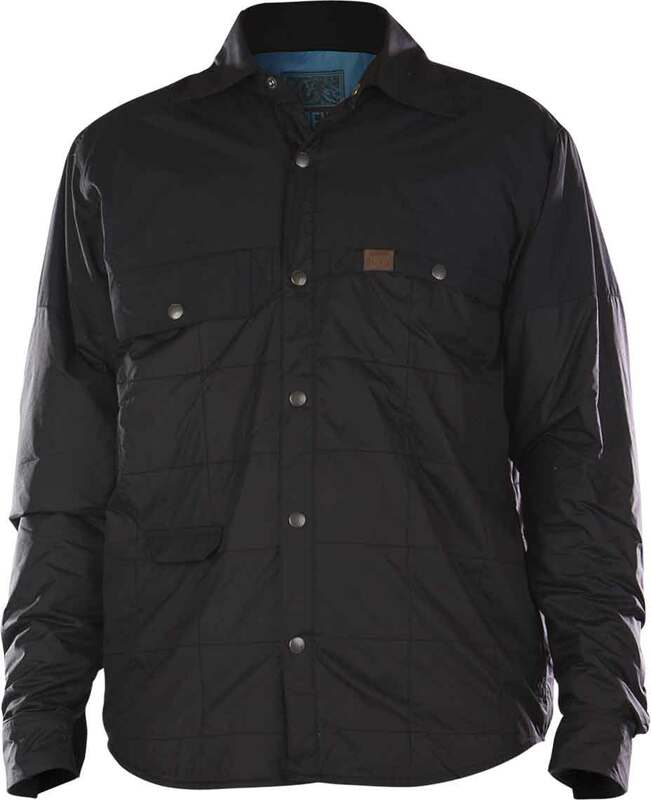 It also doubles or even leads as a lightly insulated button down shirt/jacket. It works well as both. 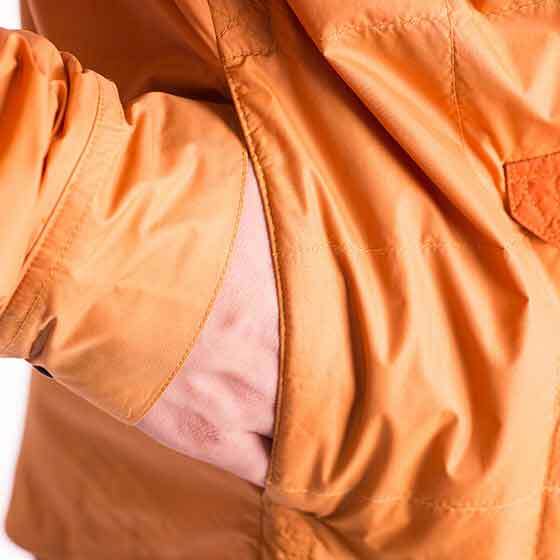 So the Snap Jack has a nice set of pockets. 2 Chest pockets and both can hold a larger cell Phone like the Samsung Galaxy S5 or that new big iPhone. The one on the right even has a little hole under the little leather Trew logo for head phone cables. The pockets at the waist don’t close and it would of been nice if they each had a snap button or 2 to close just in case you stack or want to hold something there. 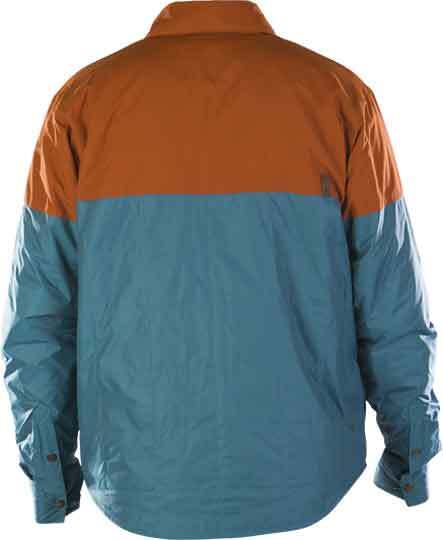 Still they are great for a shirt/mid layer/jacket because most don’t even have pockets. There is also a nice little pocket for holding a very little bundle so it doesn’t get mixed in with other stuff. The fit of the Snap Jack is pretty normal for a Size L. I usually fit most size L but can border on the L/XL side of things. It’s a bit snug around the chest but that’s my own issue because I’m bordering on XL in the chest. It fits around the arms and shoulders well and doesn’t go to far past my belt line. It fit’s my shoulders well and my only complaint is there is a little puff just below the shouldters. Like most size L jackets there is some extra room for longer arms and if I unbutton cuffs there is more than enough room for gloves. I can button over the gloves but it’s not easy to get them on over the gloves buttoned. 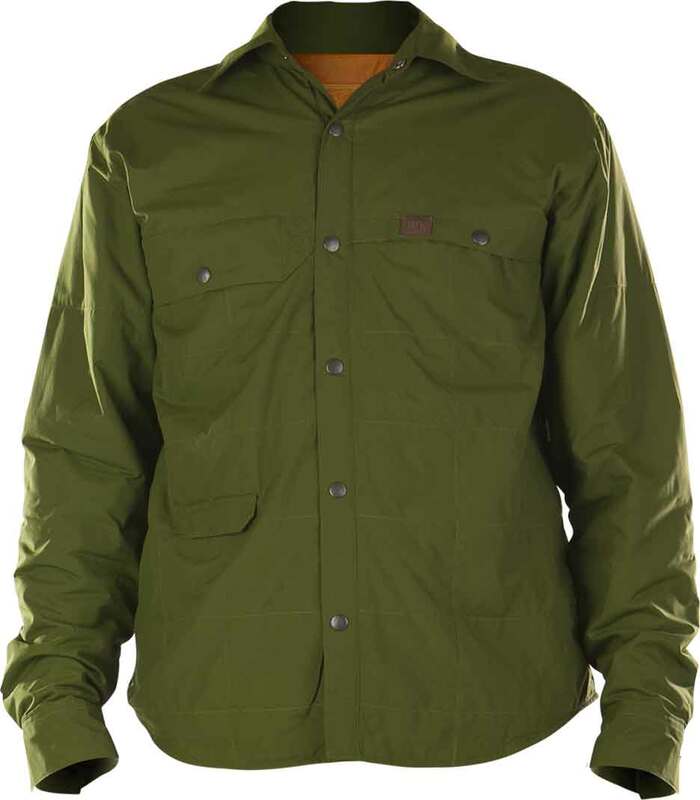 The overall feel of the jacket is very comfortable with a soft nylon liner that feels good with a long sleeve or short sleeve shirt on underneath. It also feel slightly more coarse on the outside but still very easy to touch. I’m not sure on the waterproofing. I know it has some as I took it out in the rain and it didn’t just absorb the drops but I’m not sure how much. I’m more comfortable with this under a technical shell like the Pow Funk or Cosmic if it’s dumping wet snow or raining or somewhere in between. It seems to breath well too but again I’m not sure on the rating. The insulation is really light but it’s more than just a button down shirt or flannel shirt. This is a perfect layer for me because I run warm and this makes a great mid layer when it’s cold as well as something I can wear inside the lodge as I’m warming up. So overall this is a very good 2 in one plus alternative for those that want something cooler than just a more serious/traditional mid layer. 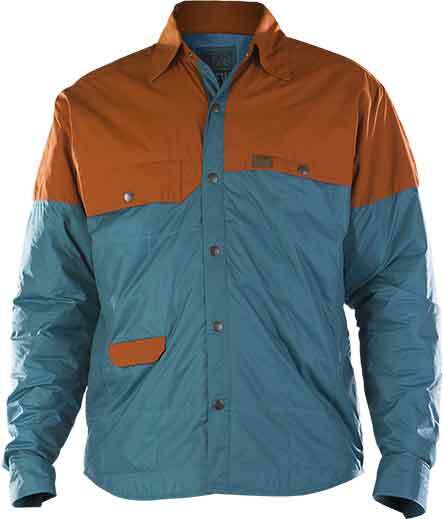 You can wear it down town, under the jacket or even on the hill in certain weather. As usual Trew did well here. We try to get as many images of the TREW Snap Jack, but forgive us if they're not all there.